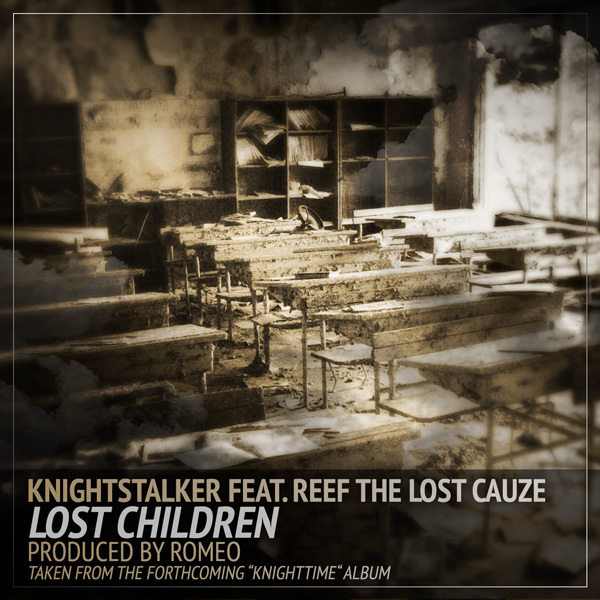 Home » German hip hop , KnightStalker , Reef the Lost Cauze » Knightstalker x Reef the Lost Cauze "Lost Children"
Knightstalker x Reef the Lost Cauze "Lost Children"
Knightstalker has definitely been doing his thing this year and dropping some dope tracks with some ill MCs. The Romeo [Berlin] produced, Lost Children "deals with the worldwide social and economical problems and challenges that our generation faces day by day." His new album, "Knighttime" just dropped and can be copped here.